We only collect information contained within our ‘Client Information & Consent Form’ which you complete when you attend your first appointment. We will use the information you provide to decide the most appropriate treatment for you. We will use your email address & mobile number to send you automated appointment confirmations and reminders. We will use your email address & mobile number to contact you regarding clinic related matters. With your consent, we will use the information you provide, to refer you onto medical professionals / insurance companies or for MRI scans. GTD Sports Therapy uses software provided by ‘Shedul.com’ (GDPR compliant) to electronically store your information. This system facilitates our automated email/mobile appointment confirmations & reminders to you. This system is used to run our appointment diary. 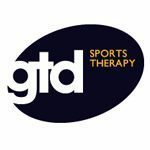 Whilst you remain a client of GTD Sports Therapy, we will retain your personal information. If 12 months has lapsed since your last appointment, then your ‘Client Form’ will be shredded and your electronical record, deleted. Is sell your personal information to any other organisation. Disclose your personal information to any other organisation without first obtaining your consent. We would like to use your email address to send you information about any offers we may have. You have the right to request a copy of the information that we hold about you. Please email or write to us.